Superdry men’s Vintage embroidery long sleeve t-shirt from the Orange Label range. 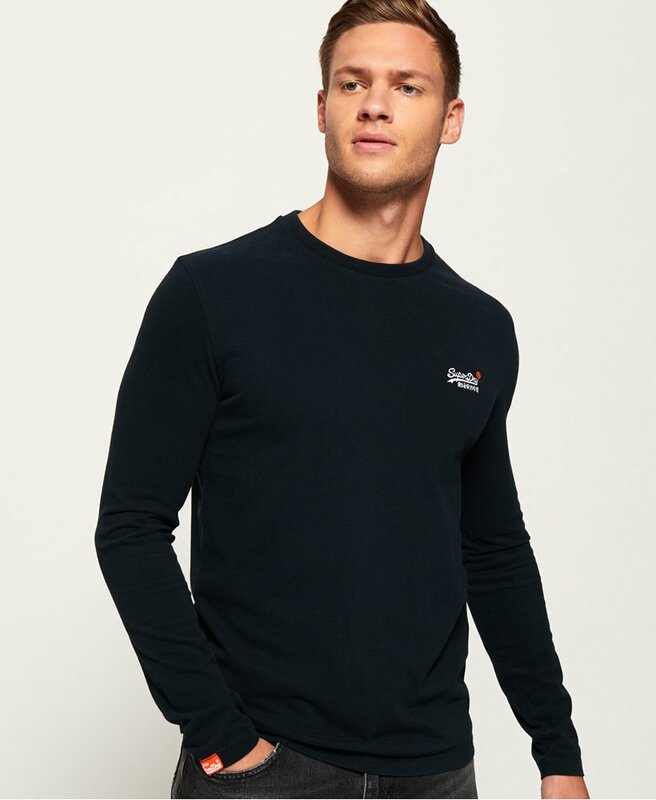 A classic long sleeve t-shirt featuring an embroidered version of the iconic Superdry logo on the chest and finished with a Superdry logo tab on the cuff. Team this with a pair of skinnies for an effortless yet stylish look.